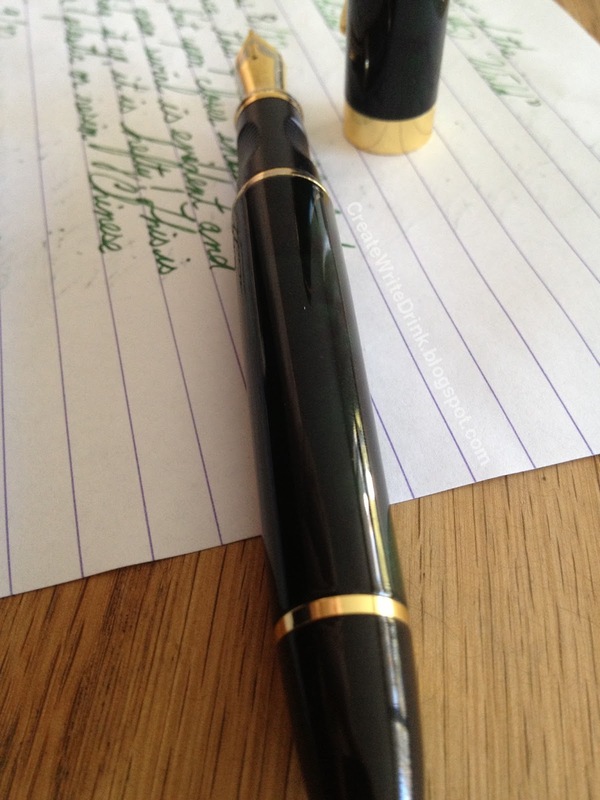 From a distance, this pen actually looks black and gold, but upon closer inspection the deep, dark green swirl is evident and beautiful. Picking it up, it is hefty! This is not another cheap plastic fountain pen. 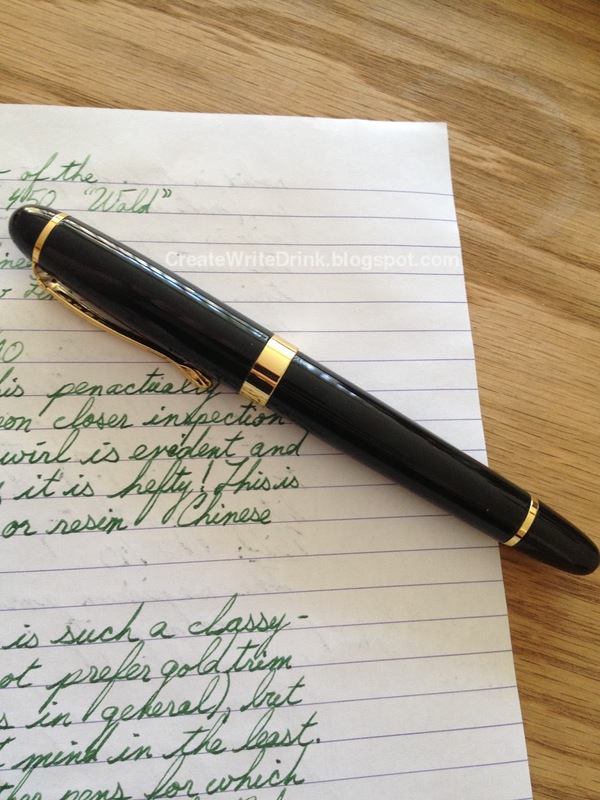 The Bülow X450 is such a classy-looking pen! 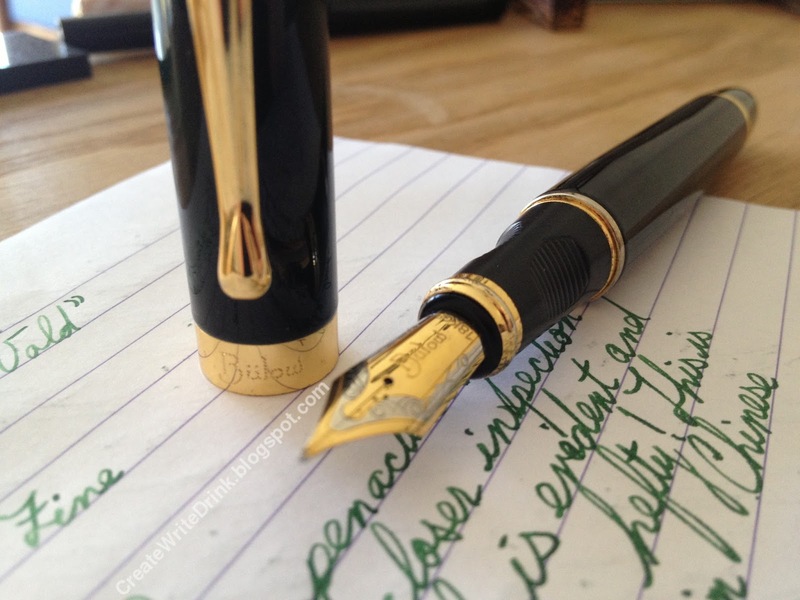 I do not prefer gold trim on my pens (or pens in general), but on this pen I do not mind in the least. (There are only a few other pens for which that could be said, such as the Parker Urban - which I own and use frequently - or the Montblanc Meisterstück series - which I do not own but love using.) The gold trim rings and clip are mostly flawless, though after several months of use, I have seen the gold plating start to fade off/away, revealing a silver below it. It has also worn away on the section ring over which the cap snaps. As I mentioned, the green finish is quite striking and beautiful. Even though the grip is plastic, it too looks quite solid and not cheap. The suspicion among many in the fountain pen community is that Bülow pens are rebranded Jinhao pens, and one of the primary differences in my experience is the nib. 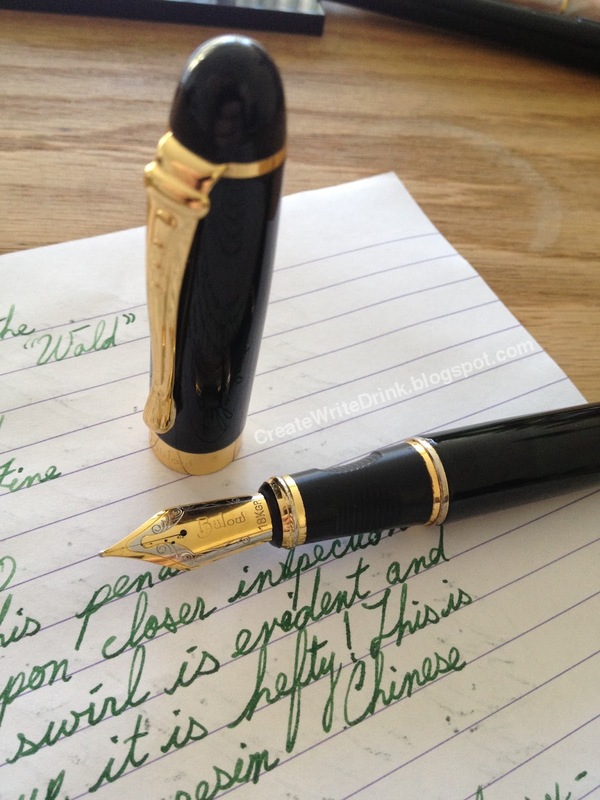 The Bülow pens are a good deal smoother than their Jinhao counterparts. 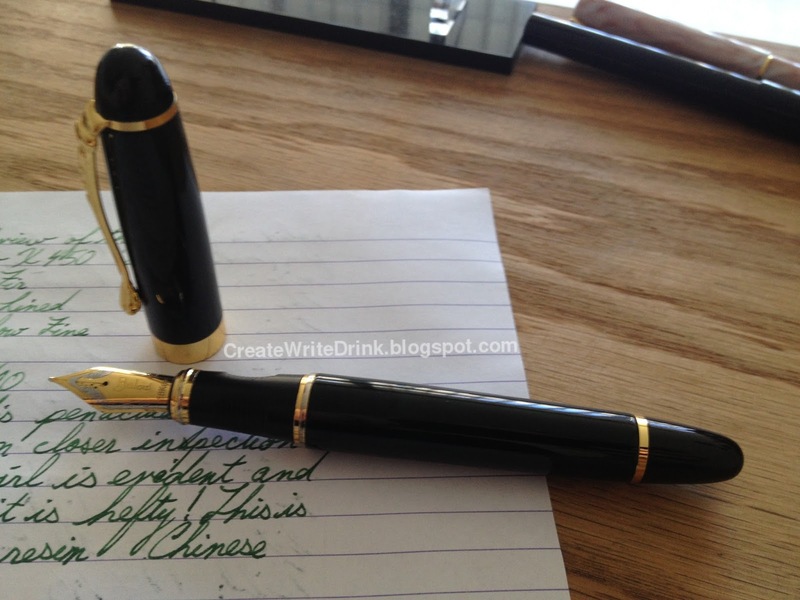 They are by no means perfect or “glassy,” but the writing experience is pleasant. With a bit of smoothing, my Bülow is now a fabulous writer and does not sing, as it did (a bit) when I first got it. The filling system for the X450 is the standard cartridge converter type, accepting standard international short or long cartridges. Mine came with a converter, for which I am pleased, as the use of bottled ink is far more cost effective. I mentioned rebranded Jinhaos. To my knowledge, the rebranding and reselling is done exclusively by xFountainPens.com. Their website states that the list price for this pen is 49.99 USD, marked down to 12.99 USD. While that deal sounds great, I have never seen the pen being sold at the higher price point, and it is probably a marketing ploy. However, as the cost of Jinhaos and the rebranded Bülows is the same or nearly so, the Bülow pens are a much better deal. In fact, I think that for the cost, their price is fabulous, as one is purchasing an unpresumtuous, solidly-constructed, and decently-writing fountain pen. In conclusion, I think that there are many other pens with which a user could go wrong in searching for something inexpensive. While I personally would prefer to go for a pen, such as the Pilot Metropolitan, with a longer section and slimmer profile, the colors, weight, and feel of this pen may appeal to many. For the cost, it is a good purchase.